While the top words to describe The Point neighborhood in a recent PlanIt survey were: “community, strong, diverse, misunderstood, tight-knit, awesome,” too many Salem residents either don’t know the neighborhood, or don’t know its positive aspects. My first stop was the newly opened Celia’s Restaurant on Congress Street. 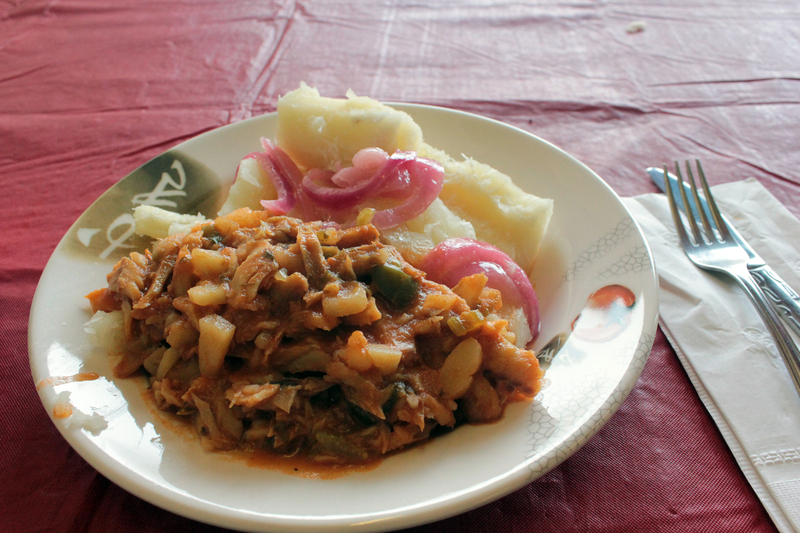 The fish stew with yucca and pickled onions was delicious. As many PlanIt participants also noted, the neighborhood food is part of The Beauty of The Point! This entry was posted in photography, The Beauty of the Point, The Point and tagged creativity in public space, photography, public space questions, Salem MA, the point by jellybeancity. Bookmark the permalink.